We have a lot to be grateful for within our region and our local businesses and organizations play a significant role in making our region what it is today. 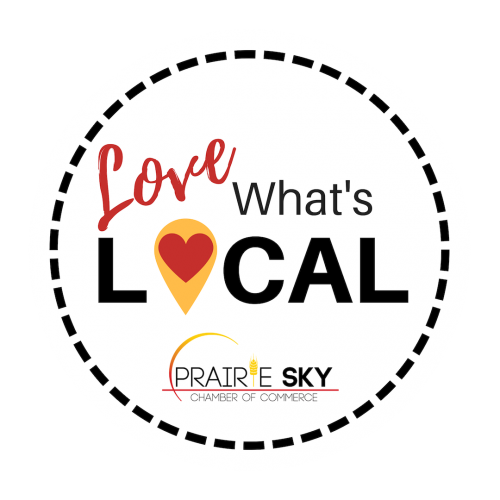 This is why supporting local is more important than ever and as such the Prairie Sky Chamber of Commerce has launched a shop local initiative tailored specific for our region called “Love What’s Local”. Through this initiative, our goal is to not only bring more awareness to consumers on the importance of supporting local but also empower business owners by challenging their thinking and encouraging them to tell their story, because stories have a way of cutting through the noise and make an impact on people. We are excited to host a variety of events to help educate businesses and promote this initiative. To stay up to date on all “Love What’s Local” events, please check back regularly. Interested in aligning with the “Love What’s Local” movement? 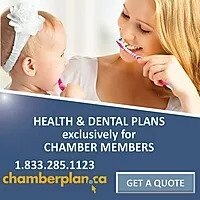 Contact the Chamber office today and we will be happy to provide you with an information package that includes a window sticker. Don’t forget to share the news with your co-workers, family and friends. We are optimistic that by working together, we can have a positive impact on our region.